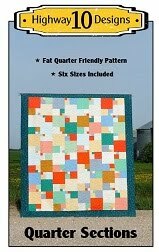 The quilt looks lovely, and your quilting is fabulous! 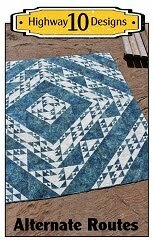 It is perfect for the quilt. Love the trees! 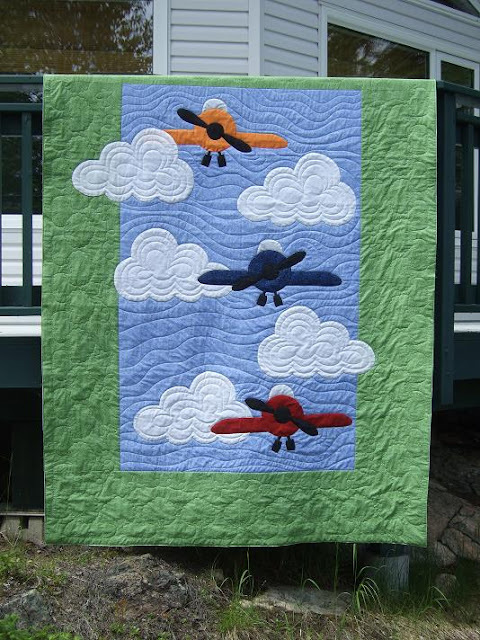 Cute quilt & great quilting Kathy! 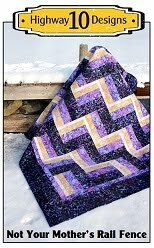 Wow...I love how you quilted it! Adorable! 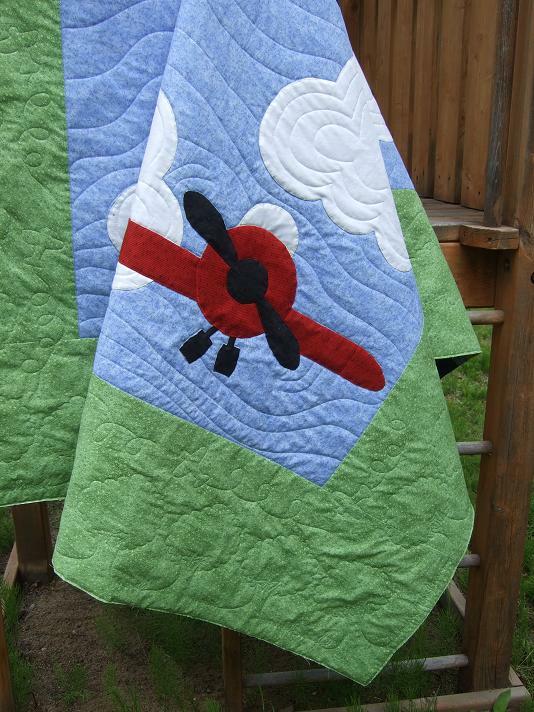 A sweet quilt and the machine quilting choices are perfect. This is so cute! 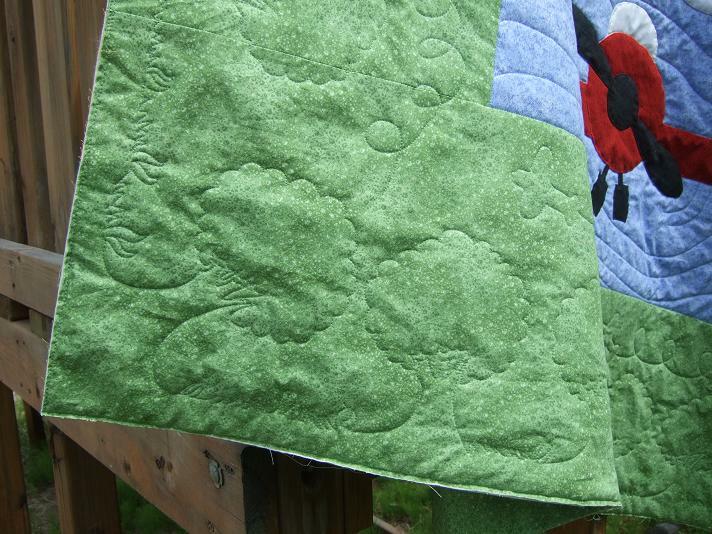 Love how you quilted it. Perfect! 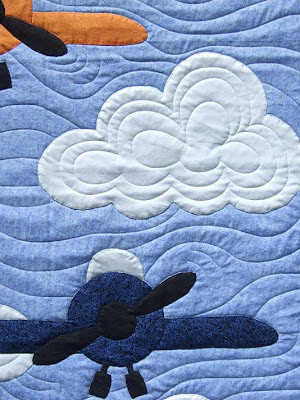 I like how you limited your quilting to make it extra soft and cuddly for a baby. 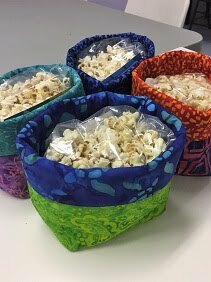 I have been following your blog for awhile now and love everything you have quilted!! I love all your snow/ice photo shoots. Incredible...as are your quilts. Thanks for sharing and I will try to comment more. Hi Kathy! 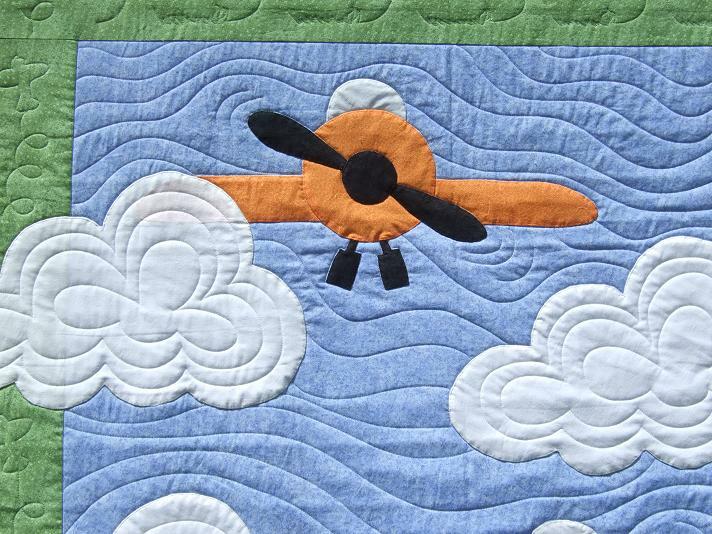 That plane quilt is just so darn cute, and the quilting really gave it life and movement. I had to smile the second I saw it. Adorable! 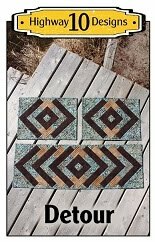 I have been searching for this pattern all over the web. Can you help? It looks like the design company id out of business.it is adorable! Love the quilting! 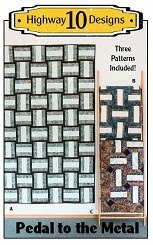 I would love to have the pattern too! Have you ever gotten a response on this?